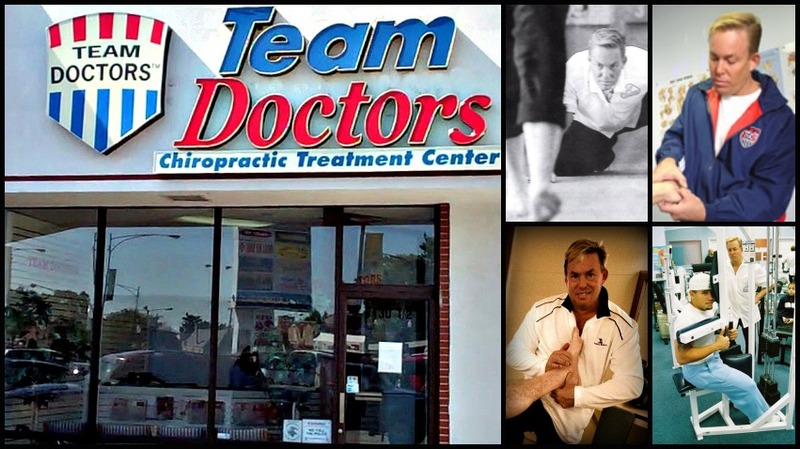 Contact - Team Doctors Blog | Athlete for Life! We are located just seconds away from the beautiful Santa Monica beach. Parking is available inside the building. Hi Luke, Im sorry I have not responded I did not know these comments were here until today. I do not know of anyone who does the exact approach to examine, treat and train as a spring vs a lever in Melbourne. In fact, last week we had a family fly into Chicago for 27 hours of treatment in a three day slot. Could you say that 27 hours of treatment is like or the same benefit as 60 standard 15 minute treatments with an adjustment? It is my clinical opinion after going through as many as 50 of these cases that the results are better this way than stringing out the treatments over weeks to months. I am resourcing a research grant to do some studies on this and when they are done would you like them? Here is his contact information. Click on it and it will enlarge for you Thank you and contact me again when you need some assistance. James, thank you for a great conversation tonight regarding my broken foot. You are extremely talented and the deep tissue methods under the stress fracture section are amazing. Your scissor method is very relaxing for my foot. What you have to think about is this…. Why is there so much stress in the heel? Why is there so much stress on the shins causing shin splints? The spring mechanism of the foot should have absorbed the shock of the landing before it hit the shins. It must be locked. Releasing it will allow the stress of the impact to be absorbed into the mechanism. So why is there stress in the heel? There is no spring in the heel. That is why when you “dig your heels in” you are actually putting on the brakes. We have to think that the ideal position for the body to be in at maximum impact or loading is when the body center of gravity is perpendicular to the earths gravitational pull. That makes sense with engineering. What we may have is that the boys maximum impact or maximum loading point is when he lands on his heel. We need to do a gait evaluation with the young man walking towards the camera normal speed, away from the camera normal speed, walk towards the camera at the fastest speed possible without running and walk the fastest speed possible without running. Put this video on the computer screen (a big one preferably) then move the video frame by frame and see if he hits hard on that heel. The best way to learn how to land is to think of your body as a pogo stick. You take your jump on the pogo stick then as you are flying through the air you are “throwing your mass” onto the pogo stick with the weight or mass in the precise position to get the desired effect from the next jump. If his body weight bangs into the heel when he lands his foot you might want to teach him how to walk properly. can you tell me who in NYC or northern Nj Chatham area is someone who uses your techniques for morton’s neuroma? Hi Dr. Stoxen. I am interested in seeing someone who practices your approach to a morton neuroma that I have been dealing with and would like to try your treatment. I live in the western suburbs of Chicago. I just had my 3rd cortisone shot and it is not doing well. Advil helps alot though. I am active and would like to stay active and the idea of surgery doesn’t make sense to me if I can do the treatments you advocate and stay active. Please let me know where I can go to start.